That looks inviting. It’s perfect for entertaining guests! I would like to put a firepit in my backyard soon. Would you say it’s safe to DIY? What are some tips for someone looking to get a fireplace? I know that this would be gorgeous in the wintertime! 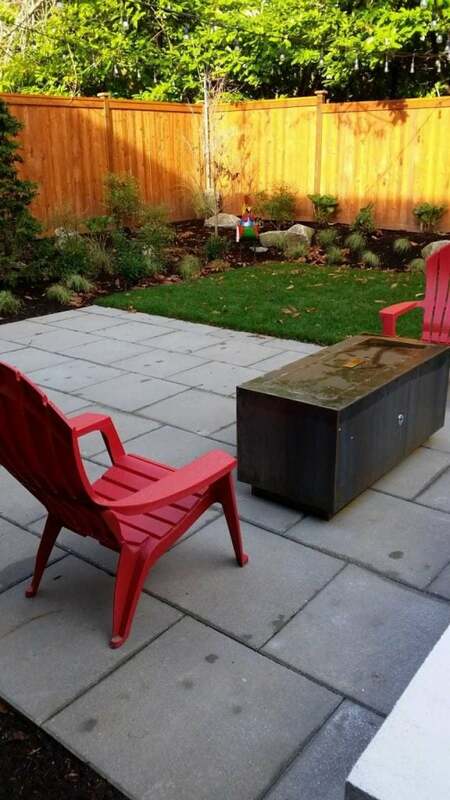 Love the idea of a fire pit! Beautiful! I love this! The cover helps avoid the rust eating through it like with my last one too! This is genius! This absolutely beautiful backyard! Fantastic job! wow this would be wonderful for an afternoon/evening small gathering. And with some string lights it’s going to look fabulous!